Expertly enhance your pout with the PUPA True Lips Blendable Lip Liner Pencil; a dual-ended lip pencil and blending sponge. Infused with moisturising Cottonseed Oil and antioxidant Vitamin E, the beauty tool outlines and defines lips, whilst delivering smooth, highly-pigmented colour that can be worn alone or under lipstick to improve hold. Expect a refined lip contour with a comfortable, long-wearing matte finish. Apply the lip contour pencil starting from the centre of your upper lip, outlining the contour with a continuous fine line. Repeat on your lower lip, this time starting from the outer corner and finishing at the centre. 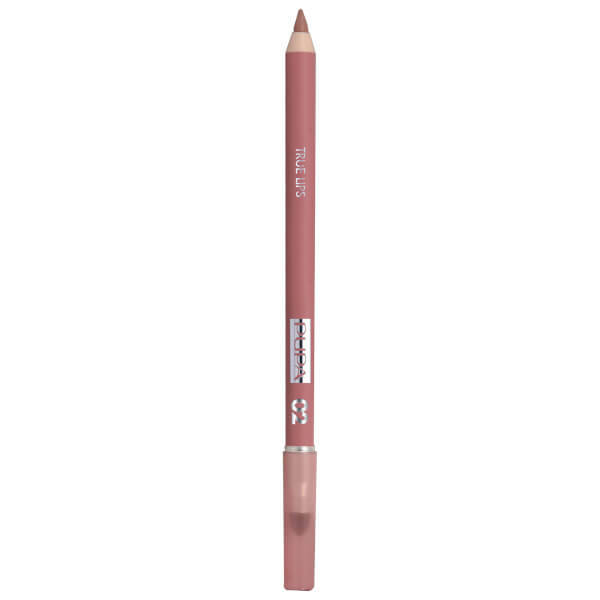 Blend the line towards the inside of your lips using the integrated blending applicator. Then apply a gloss for a natural effect or a lipstick for a sophisticated effect.